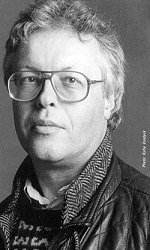 The History of Photography in Sound is Michael Finnissy's most ambitious piano work to date: an epic lasting more than five hours, divided into five books of self-contained pieces, of which the inner three are further divided into several 'chapters'. Yet although the individual items are self-standing, they also form part of a complex network of cross-references which unify the entire conception. The title can also be regarded as a metaphor, enabling the composer to approach the project cinematically, or in the manner of a snapshot. For instance, the overall style often involves rapid 'cuts' from one sonic image or allusion to another, and there are episodes which provide brief glimpses of the composer's past, and perhaps specific memories. From Ian Pace's indispensable introductory pamphlet, which outlines the structure of the work and discusses questions of interpretation, it is clear that on one level The History of Photography in Sound is substantially autobiographical. My Parents' Generation Thought War Meant Something reflects Finnissy's experience of seeing snapshots his parents made of friends during the Second World War. His style of pianism, stemming from the 19thC virtuoso tradition is most clearly illustrated in Alkan-Paganini; other pieces recall his encounters with the cultures of the USA, Australia & parts of Southern Africa. On another level, Finnissy responds to issues within contemporary British society, such as problems of censorship, or rampant commercialisation. Capitalist Realism is the most significant piece in this category. Lasting 75 minutes, it is the most extended single span of music Finnissy has so far attempted (nearly matching in duration Ronald Stevenson's 80 minute Passacaglia on DSCH played at Wigmore Hall last week). Finally, there is the strictly creative level, though this is not restricted to musical influences. While Finnissy has been composing for the piano throughout his career, the Gershwin Arrangements and Verdi transcriptions appear to have been particularly important, enabling him to expand his vocabulary of transformation techniques to the point where they could be utilised in such an ambitious project as The History of Photography in Sound. In essence, the work is a gigantic palindrome, almost entirely based on the intervals of minor and major thirds. Structurally, it is laid out as a series of waves, but at the core of the scheme is the section entitled 17 homosexual Poets, in which the composer has sought to establish a musical correlative for many of his literary interests. Ian pace's essay describes each poet's musical portrait, but the seventeen sections are intercut, and spliced together to create an extended collage which avoids any suggestion of linear construction. Thus, the hub of the work is a tightly organised piece, which provides the model on which the whole enterprise is built. The History of Photography in Sound is a score of such rich content that its five-and-a-half hours duration does not seem too long. Obviously, opportunities to hear the work 'live' will be limited, though Ian pace and the composer are scheduled to perform it jointly in Belgium in October. Consequently, the complete recording in preparation is of paramount importance, in order to appreciate at least some of the detail outlined in Pace's essay, but meanwhile, there is bound to be some speculation as to whether the work should be classified as 'modern' or 'post-modern'. In fact, it does not fit comfortably into either category, though the stylistic consistency Finnissy has achieved, notwithstanding the disparate sources, undoubtedly stems from a modernist aesthetic. There are few composers who have embraced so many cultures within a single work. It would be difficult to over-emphasise the importance of Ian Pace's mastery of this daunting score and convincing interpretation of the music in his complete performance at RAM, and he is to be congratulated on a monumental achievement. His CDs of The History of Photography in Sound are eagerly awaited.